After receiving his early education at a leading boarding school in Ghana, Annan attended the College of Science and Technology in the capital of Kumasi. At the age of twenty, he won a Ford Foundation scholarship for undergraduate studies at Macalester College in St. Paul, Minnesota, where he studied economics. Even then he was showing signs of becoming a diplomat, or someone skilled in international relations. Annan received his bachelor’s degree in economics in 1961. Shortly after completing his studies at Macalester College, Annan headed for Geneva, Switzerland, where he attended graduate classes in economics at the Institut Universitaire des Hautes Etudes Internationales. Annan’s code of soft-spoken diplomacy was given a boost by the outcome of his talks with Saddam Hussein in 1998. UN observers wait to see how additional crises will be handled by the gentle but determined man from Ghana. In the summer of 2001, the United Nations unanimously appointed Kofi Annan to his second five-year term as secretary-general. 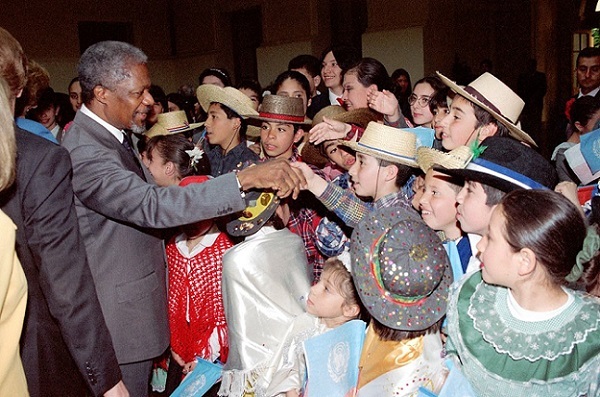 On October 12, 2001, the Nobel Peace Prize was awarded jointly to the United Nations and Kofi Annan. 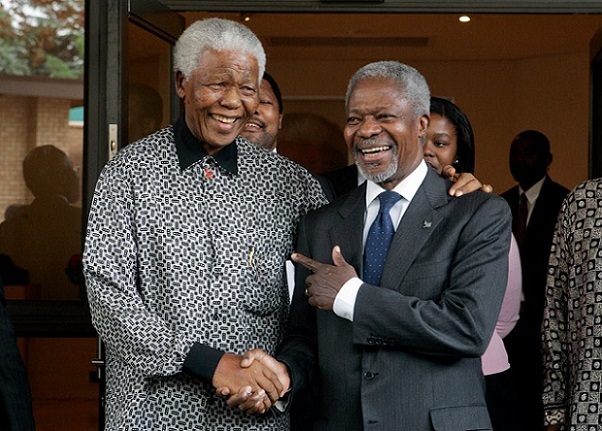 The Nobel citation pointed out that Annan had brought new life to the peacekeeping organization, highlighted the United Nations’s fight for civil rights, and boldly taken on the new challenges of terrorism and acquired immune deficiency syndrome (AIDS; a disease of the immune system).